The Node 804 is a compromise between the dual chamber solution alike the Corsair AIR 540 case and the smaller cube sized solutions for mATX motherboards; too bad no normal sized motherboards are supported as this would have opened another extra market for this stylish looking case. Initially only being available in a black windowed version; if demands require a windowless or other color versions then Fractal is willing to start manufacturing those. 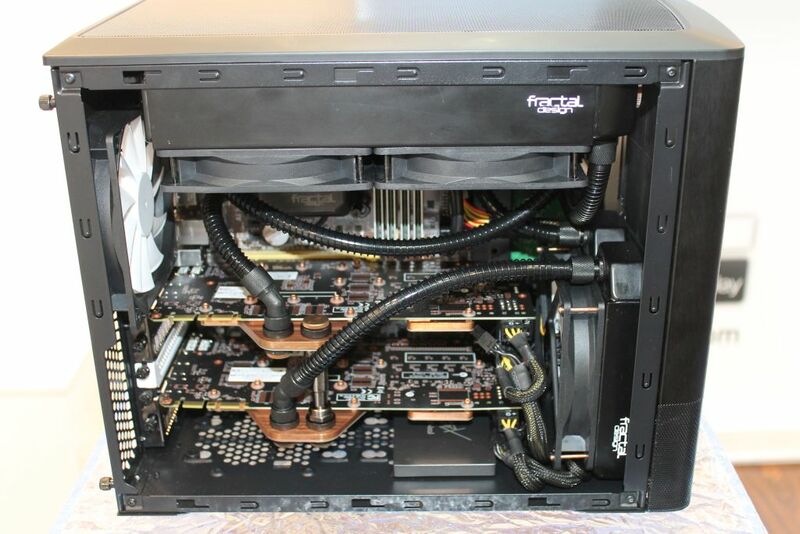 One can clearly see the dual chamber solution, on one side all the hot hardware components are housed, airflow is generated by two silent 120mm Fans. 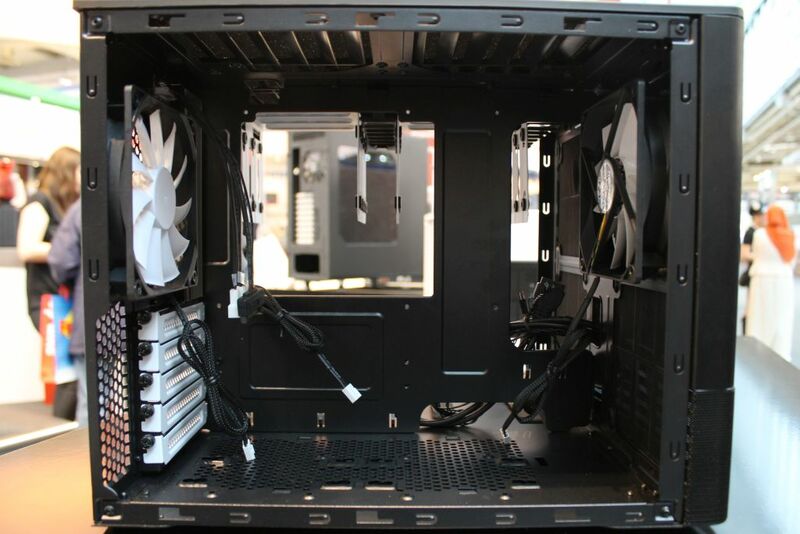 The other compartment is equipped with just one silent R2 120mm Fan, though there's loads of room for improvement in the cooling department, How about three extra front fans and even up to four in the top of the case? No hot spots are allowed here. 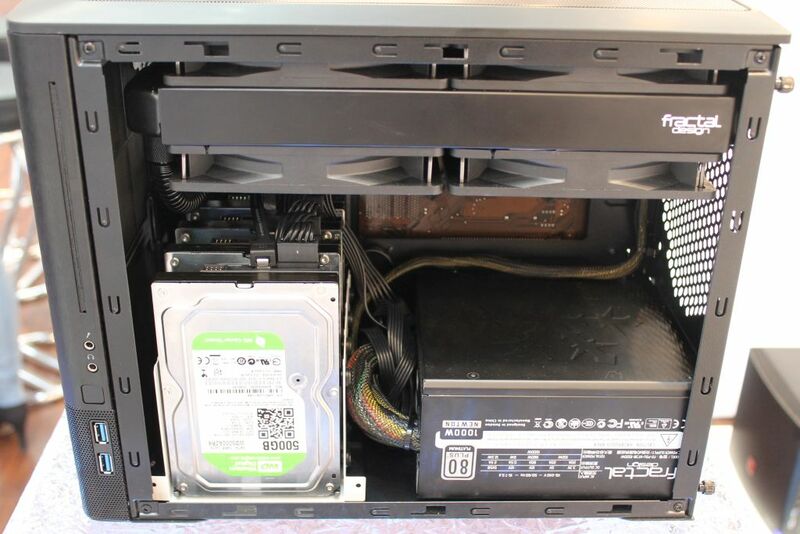 Storage-wise the Node 804 can house up to eight 3.5"s HDDs and two dedicated SSDs positioned in the front cover. An optional slot in optical drive can be installed in the same front cover. 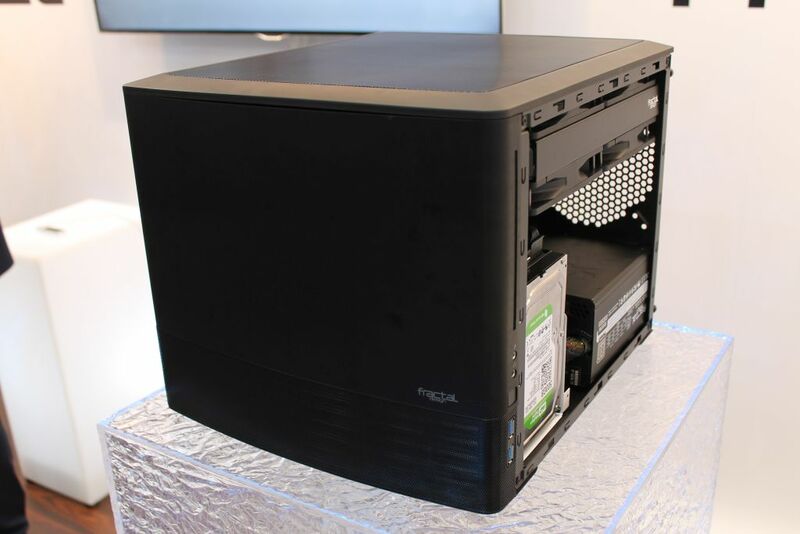 Depending on the HDD configuration the Node 804 remains compatible with power supplies up to 260mm deep. The graphics cards length is maximum 320mm, or if a front Fan is installed the length is reduced to 290mm. 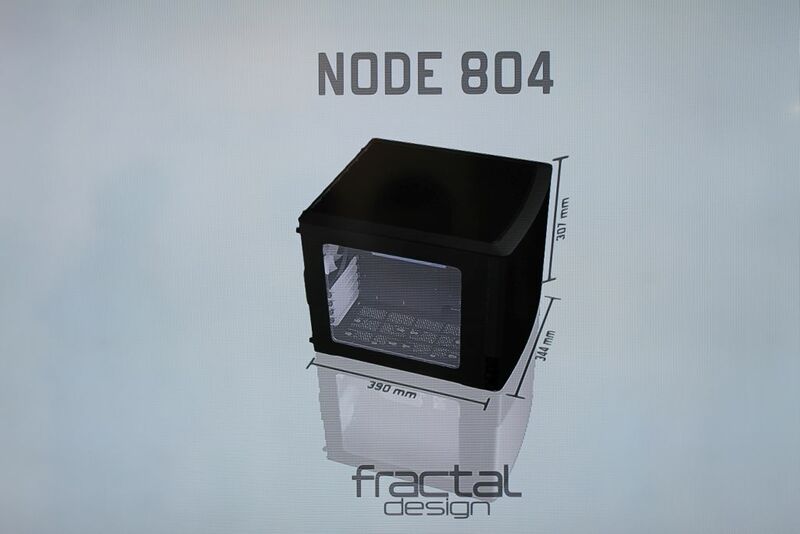 Fractal showed up a fully stuffed Node 804 with a test case of their upcoming water cooling solution. Up to two 240mm and one 120mm radiators were installed in their booth model. The best of all is that this case will retail sub 100 euros, which is a very fair price for the given solution.